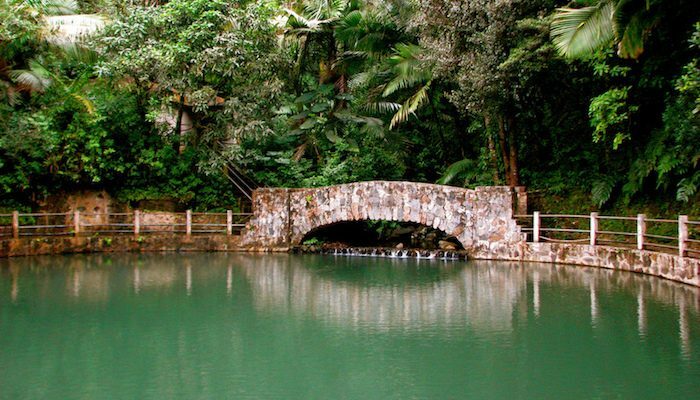 One of the most beloved and ecologically significant natural areas in Puerto Rico, El Yunque offers unlimited options for a trail run, especially for those seeking a challenge. There are over 24 miles of trails here, with varying degrees of difficulty. One of the best trails is the 2.4 mile El Yunque Trail to El Yunque Peak, which travels over a combination of asphalt, gravel, and crushed stone, but gains lots of elevation. The astonishing views from the top of this green rainforest peak are absolutely worth the effort. Also popular is the .7 mile La Mina Trail to the waterfall of the same name. The trail descends to the falls via a series of concrete steps, so the return journey is a tough stair workout. Note that the paths here are often slippery with rain, which in combination with crowds and steep drop-offs, can make the La Mina trail a bit sketchy. El Yunque is administered by the Forest Service and this website has good information on the trails. Note: El Yunque Trail is temporarily closed. Please check the Forest Service website for updates and announcements.